The best partnerships are born of shared values and goals. For a decade now, YouthActionNet has benefited from the generous support of Laureate International Universities as part of their commitment to being Here For Good. At the heart of this partnership is a belief in what is possible when entrepreneurial thinking is combined with a spirit of social responsibility. Together, we recognize that today’s young people—the largest generation of youth in history—is being called upon to develop their leadership potential at a time when the world needs their passion, creativity, and solutions more than ever before. Through its network of universities, enrolling over one million students, across 80+ institutions in 28 countries, Laureate is uniquely positioned to equip the next generation to shape their communities and nations. Equally important is identifying and supporting those young change-makers—on campuses and beyond—who can serve as role models for their peers. Toward this end, YouthActionNet and Laureate have provided training, networking, funding, and advocacy opportunities to more than 1,500 young social entrepreneurs in 90+ countries. Among these are the Laureate Global Fellows, an extraordinary group of young founders/CEOs whose accomplishments in the areas of education, health, economic empowerment, civic engagement, the environment, and social inclusion set them apart. Our work as partners doesn’t stop there. Together, we have created a network of locally- rooted, globally-connected youth leadership institutes. 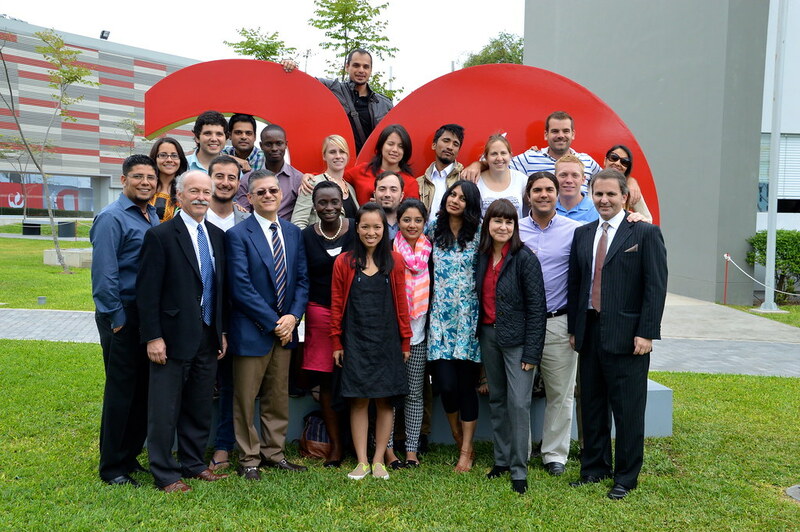 Beginning in 2006 with the launch of the Premio UVM program at Universidad de Valle de Mexico, we have established similar initiatives at 15 Laureate International Universities in 9 countries. From Brazil to Spain, Peru to Turkey, these institutes now serve as key reference points for youth-led social innovation. They also connect the learning that goes on in the classroom with practical, real world applications, as students learn from and contribute to youth-led social ventures. One of the inspiring leaders to benefit from our joint efforts is Carolina Candelario. As the founder of GUIMEDIC, Carolina provides mobile medical assistance to isolated rural communites in Mexico. A graduate of Universidad del Valle de México, Carolina has steadfastly developed her leadership and organizational capacity, first through the Premio UVM program, and most recently as a Laureate Global Fellow. We invite you to explore the pages of this website to learn more about our work to support young leaders like Carolina throughout their social change journeys—work that would not be possible without Laureate’s vision and commitment every step of the way.